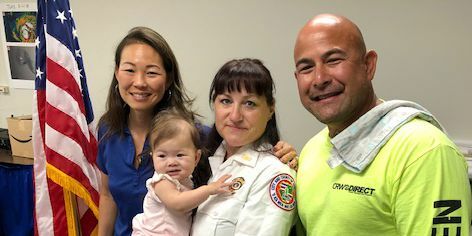 Honolulu Fire Department say both hikers were rescued around 7:30 a.m. One of the hikers suffered a sprained ankle and was unable to hike out because of the injury. Both hikers were airlifted out. Honolulu Fire Department rescue crews are searching for two hikers -- a male and female -- who were stranded on the Stairway to Heaven trail. HFD said the female sprained her ankle and was unable to walk down. Rescue crews continued their search at 6:30 a.m. on Monday.